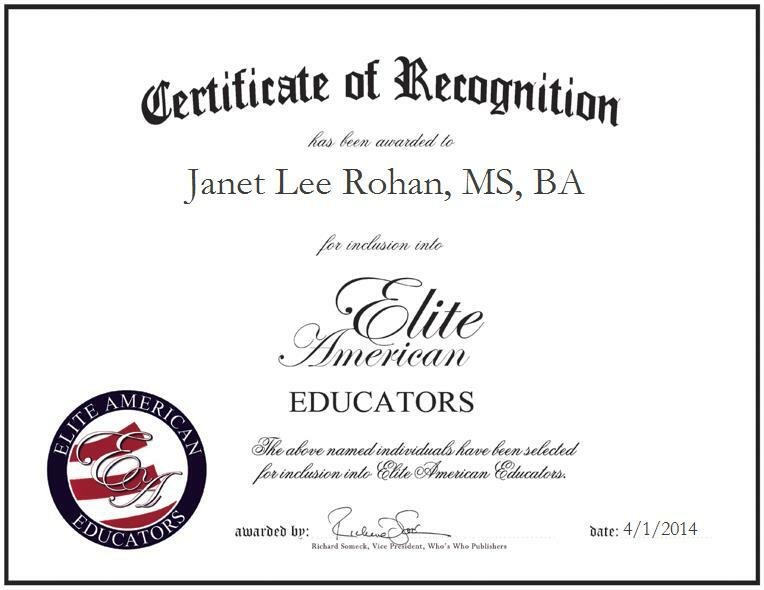 NEW ROCHELLE, NY, April 1, 2014, Janet Lee Rohan, MS, BA, Adjunct Professor at The College of New Rochelle, School of New Resources, has been recognized by Elite American Educators for dedication, achievements and leadership in higher education. With the help of a friend, Ms. Rohan realized that she was a natural-born teacher whose ability to communicate well enables her to connect with students. She joined The College of New Rochelle in April 2008 as a secretary and was promoted to adjunct professor in January 2012. In her role, Ms. Rohan teaches one night a week, and handles classes on public speaking and an introduction to computer applications, video stream classes, and independent studies.